Offering lighting solutions has become a specialized industry. Gone are the days when it was only about a switch and an incandescent bulb with design limited to the light fixture and shade. Today lighting solutions look at the desired mood a customer would like both for indoors or outdoors given that it can enhance task performance, improve the appearance of an area, or have positive psychological effects on occupants. Whether its for commercial or industrial application, residential or sports facilities lighting comes in a myriad of options and a buyer can be overwhelmed by the choices presented to him. A couple of things however remain constant and that is an appreciation of creativity, innovation and yet within the bounds of cost effectiveness and energy savings. Energy savings had become a byline when talking about lighting and in some countries legislation has even been put in place to ensure it takes hold. The incandescent light bulb has been the hapless victim and is giving away to less energy consuming alternatives. LED luminaires are arguably becoming the standard and with savings close to 80% over an incandescent light bulb who can ignore it? Initially they were not very popular because of the cold, sterile white light it produced but today’s LEDs come in various hues that are more warm and appealing. The only hindrance is the cost but this is more than offset by the lifespan of the bulb which can be as much as 20 years. The light-emitting diode (LED) is one of today’s most energy-efficient and rapidly-developing lighting technologies. 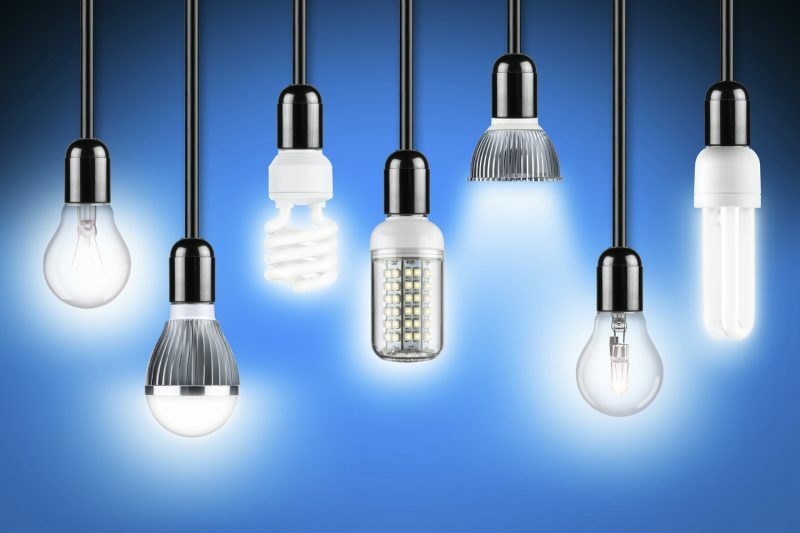 LED lighting has come a long way and is evolving and improving at a drastic pace. The emerging industry has introduced a large number of new entrants, some participating to provide quality lighting and others focusing on low grade items with sole objective of making a quick buck. According to Craig Smith of E Lighting in South Africa, luminous efficacy of LED has improved exponentially, making it a reliable alternative form of lighting with far less drawbacks compared to lighting of old. “LED lighting manufactured correctly should serve the end user with at least 50,000 hours of useful light. Improvements in this technology are leading to longer lifespans. However, consumers need to be aware this is not always the case. Competition has become increasingly fierce in this developing market leading to the introduction of cheaper lower grade LED lighting which may at times only last a couple of months owing to cheaper substandard materials used in the production of these items to please price sensitive consumers,” he says. Given recent LED technology improvements and the drive toward greater energy efficiency, the LED industry, including general illumination from commercial refrigeration to outdoor area lighting; is experiencing explosive growth. 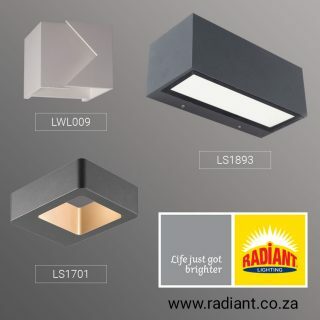 Mr. Bryan Naidoo of Radiant Group (Pty) Limited in South Africa mentions that, as manufacturers expand their offerings or enter the market, it is important for consumers to choose reliable, long-life LED power supplies to achieve optimal lighting performance. Do your lights need to be waterproof? All of our LED lights are water resistant and some of our lights are fully submersible. Water resistance really is not a factor for cove lighting in a living room, but in wet areas like near kitchens and bars, waterproof lights may be the right choice. Will your light source be visible? For cove, under cabinet, and display case lighting our discreet, low profile LED Light Strips and LED Puck Lights are perfect solutions. How bright should your light be? The amount of lumens you want your LED light to provide is usually the first and easiest decision, but rather than just replacing your traditional incandescent light with the same product, consider whether the amount of brightness it provides is appropriate for your needs. What is your light’s function? Beyond illuminating an area, light cultivates an atmosphere, adds visual interest, and has to perform under certain conditions. Any outdoor LED lighting product you choose should be waterproof and able to withstand unexpected, inclement weather. With regards to light levels, a Relux analysis is highly recommended. As Mr. Bruce Scott from LEDwise lighting in South Africa mentions, to ensure the light levels are correct, the consumer should look at the lumen output and beam angle and ideally undertake a Relux analysis. When considering LED lighting for any application the first thing to always consider is using the right light for the application. 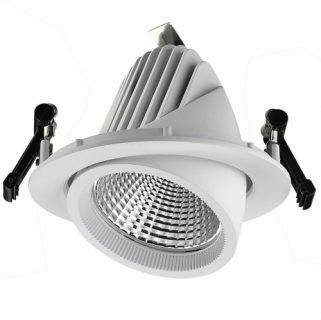 According to Barry Tree from Econ LED in South Africa this will include the type of LED light you will use, the colour and the strength in terms wattage, plus the quality. “Because LED is an electronic device a good heat sink in the African heat is a must and it will determine the lights longevity,” he adds. When it comes to indoor lighting, look and feel are the most important considerations with the colour temperature of light affecting the mood and atmosphere of a space. 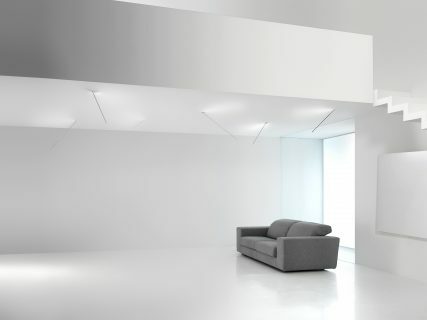 According to Andrew Winstone of Energy-LED in South Africa, warm whites work well in lounges, dining rooms etc whereas a cool white/ blue light is good for hospital environments. He further adds that, power costs can be high in Africa so utilizing LED technology makes sense given that you can save between 60-90% of the power usage. Moreover, as time goes manufacturers are coming up with ever more innovative solutions. For instance, ever improving lumens per wat, particularly around high watt Flood and Warehouse lighting. LED Group Robus in Ireland recently launched human centric lighting which basically mimics natural daylight in the workplace to increase performance in both offices and academic locations. Decorative lighting is the fourth layer of interior illumination and, simply put, it is like jewelry for the home: it helps your space sparkle and shine. Accessorize your house and bring out its best features by adding decorative lighting fixtures. According to Mario Monfredini from the sales department at Icone Luce a manufacturer of interior decorative lighting, they take inspiration for the most simple shapes in nature to manufacture light fittings that can be at the same time perfectly integrated in every interior environment or considered as an object of design. Moreover, Mr. Johan De Beer of LED Corp in South Africa mentions that, the lifespan of the LED chip and LED driver specs are also important to consider before investing on a particular LED lighting. A luminaire is an electrical device used to create artificial light by use of an electric lamp. All light fixtures have a fixture body and a light socket to hold the lamp and allow for its replacement. Fixtures may also have a switch to control the light, either attached to the lamp body or attached to the power cable. Permanent light fixtures, such as dining room chandeliers, may use a wall switch to turn them on and off; as such, these fixtures may have no switch on the fixture itself. According to Simon Hallenslev of Normasym in Denmark, LED technology is constantly moving and developing, but the most exciting new technologies are the effective use of solar panels and IoT (Internet of Things). “Solar panels have been a long time coming, in terms of fully utilizing the sun and converting it to bright and high quality lighting. The IoT essentially means having LED luminaires connected to the Internet and each other so they can either optimize the time they are turned on, or even serve as a CCTV device along with emitting lighting,” he adds. Therefore, Jana Bosá of OMS from Slovakia mentions that, luminaires are a really important part of the building, rooms or cities. So it is really important to find good products with a high warranty and with really good functionalities which can set up an effective lighting and even to bring new added values as increase of positive emotions or speed up of working processes. Fiberli from Turkey, adds that, nowadays, with the high-technology of LED, the luminaire efficiency values ​​have risen to 140-150 lumen/watt for the marketable fixtures. Also, the luminaire efficiencies of the fixtures that are economically more accessible in the market, exceeded 100 lumen/watt limit. Nevertheless, Mr. Leon Nel of The lighting warehouse in South Africa mentions that, there has been tremendous growth in terms of technology when it comes to LED lighting. “We now have a Kelvin colour changing and dimming in a single luminaire light; operated by a smart phone,” he adds. When it comes to LED outdoor lighting, Mr. Trevor Finlay from LEDz in South Africa mentions that, basically, the LED lighting of choice must be water and corrosion proof. Nevertheless, according to Rakesh Vassanjee of Opple in South Africa, most importantly, see if the product is rated and tested for Outdoor use. It must be either IP65 rating or higher, meaning can handle outdoor weather temperatures. e.g. PF:0.95 & TA=45 Degrees Celsius. “Correct Voltages must be supplied, Africa’s power input is 220-240 volts. Material used for this outdoor products should be more robust and not have a colour discolouration after weather conditions, and also from a design aspect there should be able to cover or well insulated connection to electricity,” he adds. Despite the increase in the uptake of LED as a lighting solution in Africa, there are huge challenges when it comes to international imports vs the local manufactured products. According to Alex Cremer of Reeflite in South Africa, the market accepts the ‘cheap’ imports over quality, without truly understanding the consequence of such decisions. When the product then fails, the technology tends to receive a mislead reputation that the LED technology is not reliable. “We have seen this happening over the last 10 years in the SA market and this trend will continue in the rest of the continent, until consumers are educated to better understand the technology,” he affirms.